Generous Hibs’ fans have raised almost £2,000 to allow less fortunate supporters the chance to attend next weeks play-off semi final at Easer Road against either Rangers or Queen of the South. 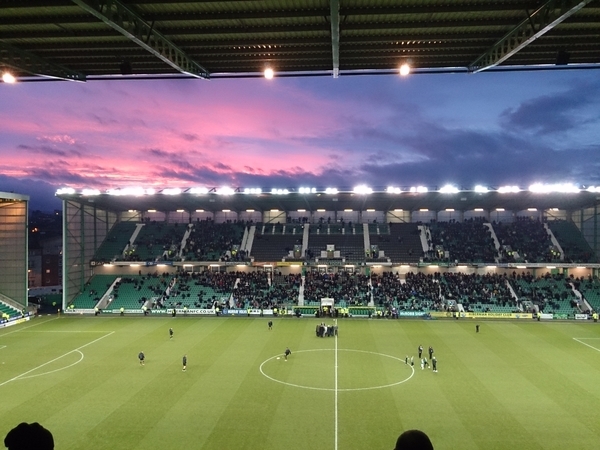 The initiative was welcomed by all at Easter Road and a statement on the club website read: “The Club would like to thank all supporters who have offered to donate towards tickets for those less fortunate for the Scottish Premiership Semi-Final Second Leg on Saturday 23 May (kick off 12pm). “A supporter-led campaign to buy tickets has so far raised over £1,700 since Friday, including a single donation of over £1,000. Tickets purchased will be used by the kids charities partnered with Leith Links, who help hundreds of kids attend Easter Road each season through the Kick for Kids programme. Any surplus tickets purchased after satisfying the demand of the Kicks for Kids charities will be distributed to other charities and community groups.